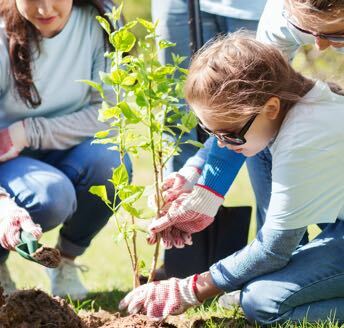 Ensure initial plant health by following our proper planting guide. 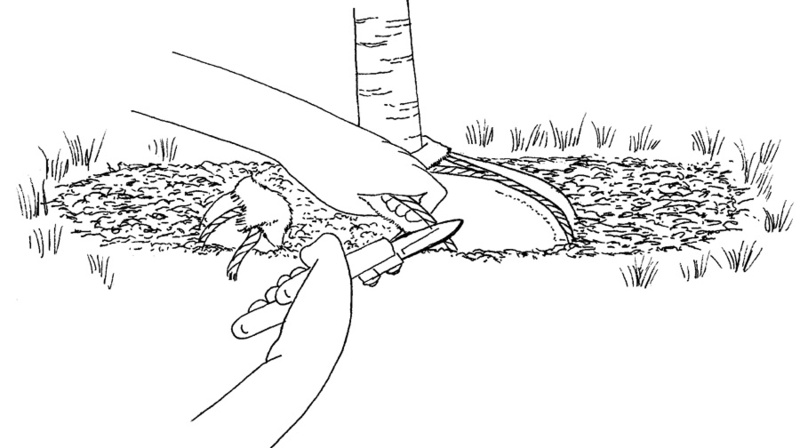 Dig a hole that is slightly more shallow and at least 6” wider than the root ball on all sides. The goal is to plant a little high where the top of the root ball is slightly higher than ground level. Mix your existing soil with a soil conditioner. We recommend Merrifield Planting Mix. The ratio should be about 1/3 Merrifield Planting Mix to 2/3 existing soil. Plants are typically grown in one of two ways–either in containers or in the field and then balled and burlapped (B&B). For container grown plants, cut into and loosen the outer, circling roots and gently pull them away from the root ball. 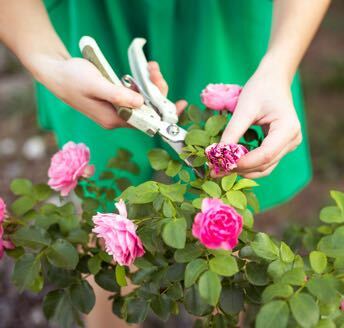 Use pruners or a knife to cut into the ball at least 1” deep from top to bottom, spaced 3 – 7” apart. Balled and burlapped plants should be planted with the burlap and metal cage in place. 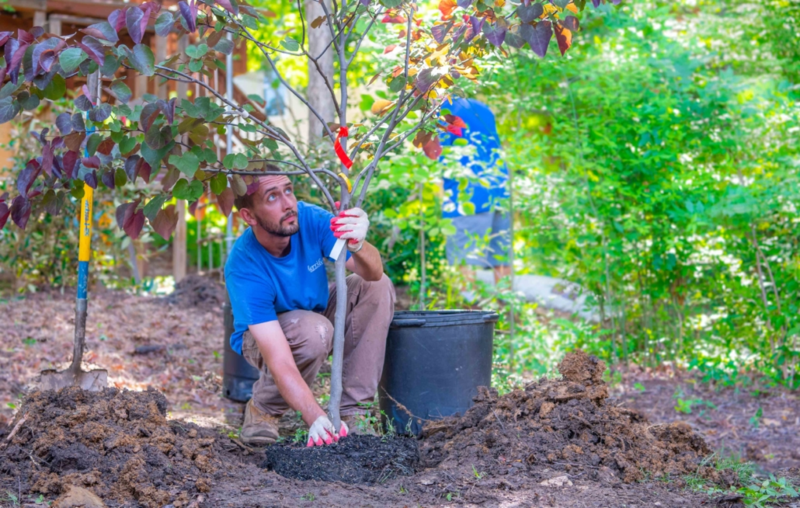 Plant with the top of the root ball slightly higher than ground level (1 – 2” high for smaller plants and 2 – 4” inches high for larger plants and trees). Backfill the amended soil mixture around the root ball, gently tamping the soil as you go. When the hole is 2/3 backfilled, add a plant food or fertilizer. For B&B plants, this is the time to remove the string that fastens the burlap to the plant. 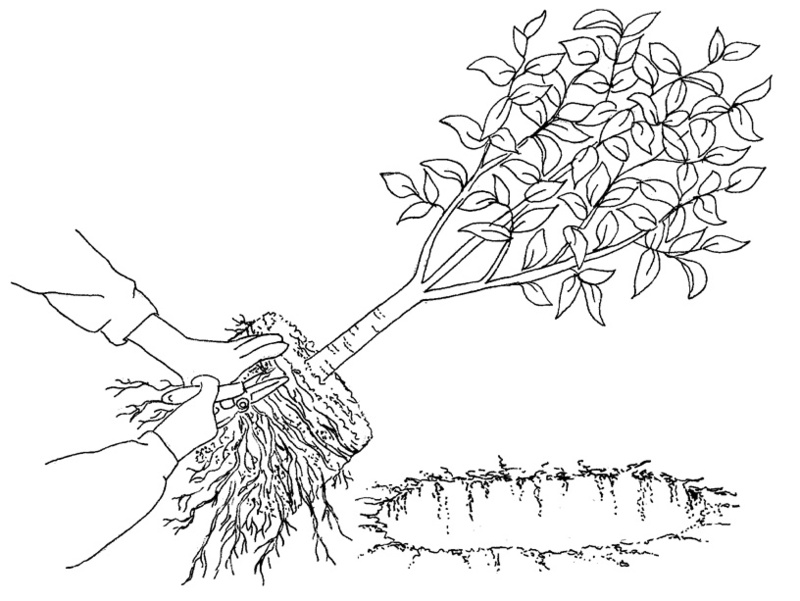 Then continue backfilling the soil up to the shoulder of the root ball, but do not place soil on top of the root ball. Top it off with 2” of mulch. 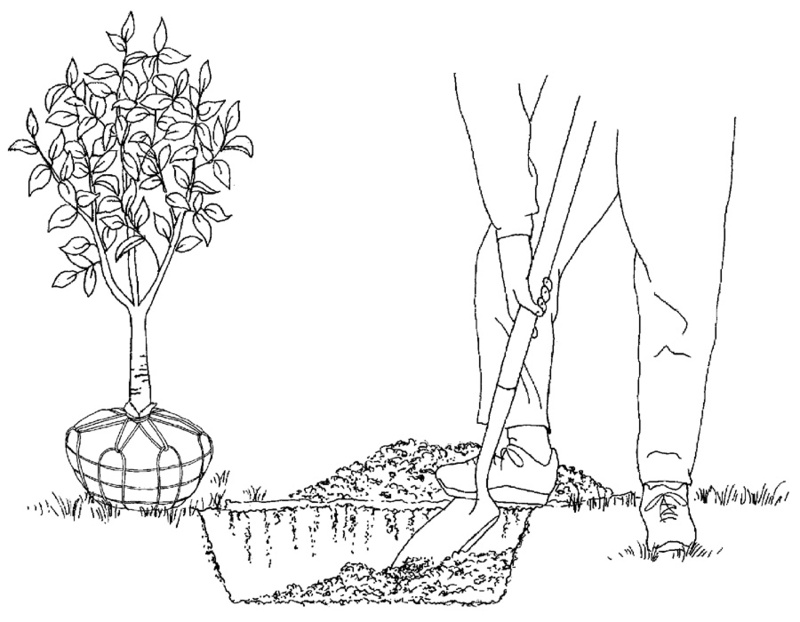 Water your plant slowly, deeply and thoroughly right after you plant. 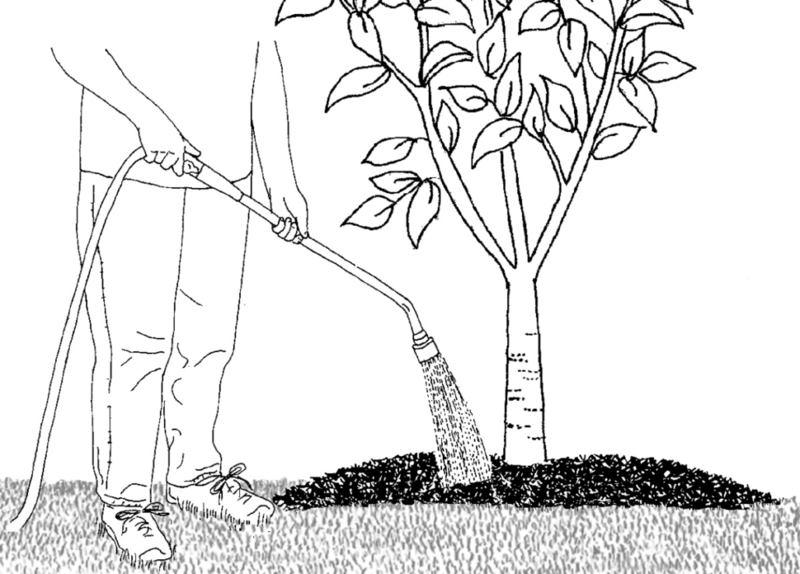 We recommend using a watering wand to direct the water and fully saturate the root ball and the surrounding soil. Follow our watering instructions to keep your plants healthy and thriving.